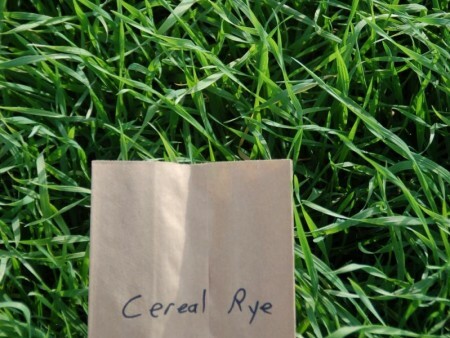 OTTAWA, Ohio – Farmers who add cover crops to their fields not only can help improve Ohio’s water quality, they can also cut input costs and improve their soil’s health. Growers who plant cover crops — including oilseed radish, cereal rye, Austrian winter pea and crimson clover — can also expect to reduce soil erosion and cut down on nutrient losses, according to Jim Hoorman, a soil expert with Ohio State University’s College of Food, Agricultural, and Environmental Sciences. Hoorman, an Ohio State University Extension educator and an assistant professor studying cover crops and water quality issues, will offer a workshop for both growers who want get started planting cover crops and those who want to expand their knowledge on the benefits of cover crops. OSU Extension is the outreach arm of the college. Hoorman will hold the workshop, “Using Cover Crops to Improve Soil Health,” in several sites, beginning with Ottawa on Jan. 7, 2015. The workshop discussion will also focus on how the use of cover crops can have a positive impact on improving the state’s watersheds, he said. Experts say phosphorus runoff from farmland is a cause of the harmful algal blooms plaguing Lake Erie and other lakes. In August, toxins from a bloom in western Lake Erie led to a two-day drinking water ban in Toledo. Ecological concepts help to make farming more efficient, he said. The workshop will offer growers an advanced, marathon session on cover crops, with the opportunity to work hands-on with soils and seeds and learn about specific cover crops, such as the fact that legume cover crops protect the soil from erosion but also produce nitrogen for crop production, he said. Jan. 7 from 8 a.m. to 4 p.m. at the Putnam County OSU Extension Office, 1206 East Second Street, in Ottawa. To register, contact 419-523-6294 or email hoorman.1@osu.edu. Feb. 4 from 8 a.m. to 4 p.m. at Knox County Extension Office, 1025 Harcourt Road, in Mt. Vernon. To register, contact 740-397-0401 or email barker.41@osu.edu. Feb. 11 from 8 a.m. to 4 p.m. at the Willams County Soil and Water Conservation District Office, 1120 W. High Street, in Bryan. To register, contact 419-636-5608 or email chirra.1@osu.edu. Mar. 19 from 8 a.m. to 4 p.m., with the location to be announced. To register, contact 937-224-9654 or email mills-wasniak.1@osu.edu. Mar. 24 from 8 a.m. to 4 p.m. at the Paulding County Fairgrounds, 503 Fairground Drive, in Paulding. To register, contact 419-399-8225 or email noggle.17@osu.edu. For more information or to register, contact Hoorman at 419-523-6294 or by email at hoorman.1@osu.edu.